Finding ways to increase customer lifetime value isn’t just important to a business — it’s essential. So why is that? The customer lifetime value (CLV) metric shows you how much your customers like what you provide, whether it’s products or services. It shows you how strong your message is to your customers, and it indicates what you’re doing well, and what you could improve on. If you can calculate your current customer lifetime value, it’s one of the best metrics to see how your efforts are helping you improve over time. The following are some key points to know about customer lifetime value, and how to increase it. To lay the foundation for this, what is CLV and how do you calculate it and important things to have an understanding of. 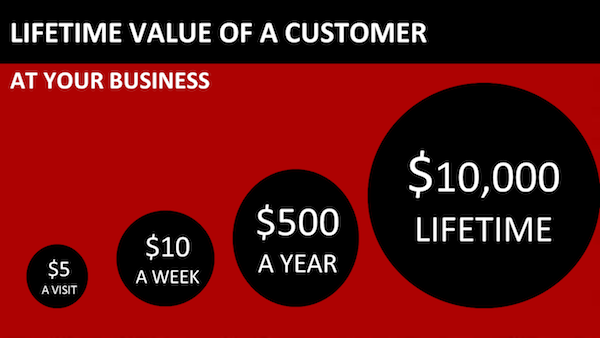 First, customer lifetime value is a measure of the total value you can derive from your average customer. While it can be more complex to calculate it based on your business, to make it simple, you can look at how much you profit from each purchase a customer makes each year. You can then subtract the amount of money that it took to acquire that customer through advertising or other means. It’s a very simple way to look at it, but it does provide you with the basic idea. Customer lifetime value is important because it’s not just about what a customer spends with you one time. It’s about the future value they will bring to your business, but only if you can retain them as a customer. The higher the number for your customer lifetime value, the higher your profits. It also costs much less to retain existing customers as opposed to obtaining new ones. Once you have the basics, how can you improve your CLV number? If you want to increase your CLV, then you’re going to have to focus on regular, relevant communication with your existing customers. You need to be developing a relationship like you would any other relationship. You want to deliver communication that’s engaging and on-brand. This regular communication is what’s going to ultimately help you develop a sense of trust between your existing customers and your brand. Email marketing is one of the best ways to communicate with existing customers. Recognize special dates and events, such as their birthdays, and provide your customers with rewards for doing business with you such as discounts. Social media is another great way to communicate with customers, but ensure that you’re communicating in a way that’s personalized and meaningful. When you’re creating social and email content, recognize your customers. You can spotlight and feature them and show your appreciation for them. When they see that you’re recognizing them and prioritizing them, it’s more likely that they’re going to continue doing business with you. One example is to feature customer profiles or even just photos on Instagram and Facebook each month. It will help with your Instagram growth too! Ask for Input and Respond to Criticism. One thing that customers value when they’re interacting with a brand and they’re buying from that brand is the opportunity to be heard. They want their concerns to be heard, their questions to be answered and their feedback to be valued. Provide ways for your customers to provide feedback both positive and negative. Show them that you’re taking it into consideration. If your customer provides feedback that you end up incorporating into some area of your business, give them credit for that. If they have a great idea, let everyone know that they came up for it or at least inspired it. Provide Existing Customers with Something Premium. For your good and valued customers, give them something extra. Maybe it’s the opportunity to try a new product or service for free, or perhaps you give them an upgrade of some sort. Even if it costs you a little extra, it’s likely to be worth it when it comes to your customer lifetime value. It’s similar to what airlines do with their frequent flyers, but you can make it work with your business. Finally, always be available when and where your customers need you. If they have a question, ensure that it’s easy for them to reach someone from your team and receive an answer. If they are struggling with something, be available to help. Customer service is essential to improve your customer lifetime value, and with social media, that means being on those platforms as quickly as possible.